Tired of stew and soups? Or is a regular curry just not gonna cut it today? Then how bout lentil balls in curry sauce? There’s inches of snow right now and I don’t fancy going out to get ingredients for the skillet recipes I’ve got planned so I made this for you lovely people instead. Use what every greens your’ve got in and the lentils you’ve got sitting at the back of the cupboard waiting to be used. You can make extra Lentil balls if your desperate for something to do and have them as a kebab with minty sauce hummus and pittas the next day, or if your dealing with sweltering heat and not blizzards how bout popping these lovely little things on a salad? Heat the 2 tbsp of oil in a wok and add the caraway seed, then the diced onion, fry until softened before adding the chili and the spices. Cook for few seconds whilst stirring then transfer to a mixing bowl with the lentils and flax egg, give a good stir before partially mashing until about half of the lentil are no longer whole. Add the gram flour a tablespoon at a time, stirring until the mix comes together. Now give wok a quick wipe clean before adding another couple of tablespoons of oil and returning to the heat, heat to a medium high heat. Get a small bowl of water and a plate lightly dusted with a few tablespoons of gram flour, and scoop out the lentil mix 1 tablespoon at a time. Press it together gently and roll into a ball. Then roll about on the plate and pop in the wok. Between shaping each ball you might want to dip your fingers in the bowl of water and sprinkle it onto your palms, this will help stop the mix from sticking. Fry about 4- 6 balls at a time, frying them untill crisp and golden on the outside, this will take a few minutes. Once the balls are all fried, transfer them to a clean plate and set aside. Now to make the sauce. Add more oil to the pan if needed and fry off your onion until soft and translucent. Add the curry powder and stir around for a minute before adding the purred and chopped tomatoes and the water. Cook down for about 5- 10 minutes and add the spinach, coriander and peas. If you have a lid big enough for you wok cover and let the spinach wilt and the peas cook through before serving, if not it doesn’t mater too much, just give it a lil’ stir every now and then until the spinach has fully wilted. 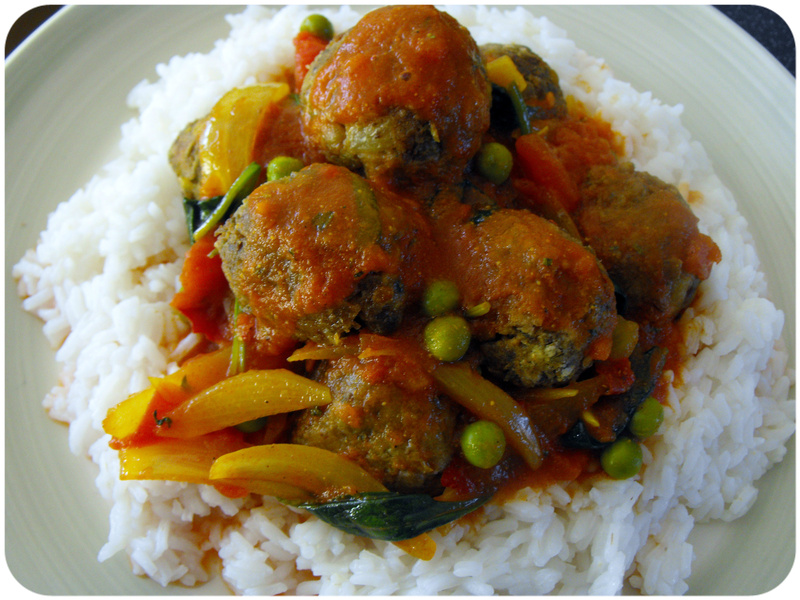 Serve over rice and the lentil balls. 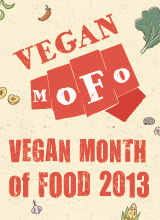 This entry was posted in mains and tagged food, recipe, recipes, vegan, vegeterian. Bookmark the permalink. WOAH! You have my level of dedication to curry I see! OMG. I have to make these. I even have some boiled lentils in my freezer I prepped for this week and have been lazy to make them because I didn’t feel like soup AGAIN!. Thanks for the recipe. Great recipe! I love lentils and this looks like a great combination of flavors. They look delicious, fun and beautiful. Lentil balls, what a great idea! I have to try this. This sounds so good! I can’t wait to try them. These look absolutely amazing! They’d be wonderful to incorporate into my meal plan, especially because of how versatile they seem to be. Can’t wait to try them.